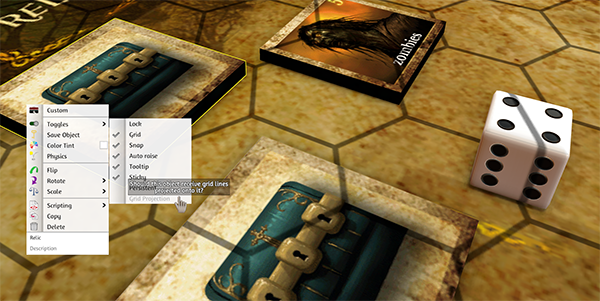 In Tabletop Simulator you can set up various grids on your tables and/or objects. To get to that menu, just go to Options -> Grid. The grid can be used for a variety of reasons, but is mostly used when your games need to have proper placement. 1. 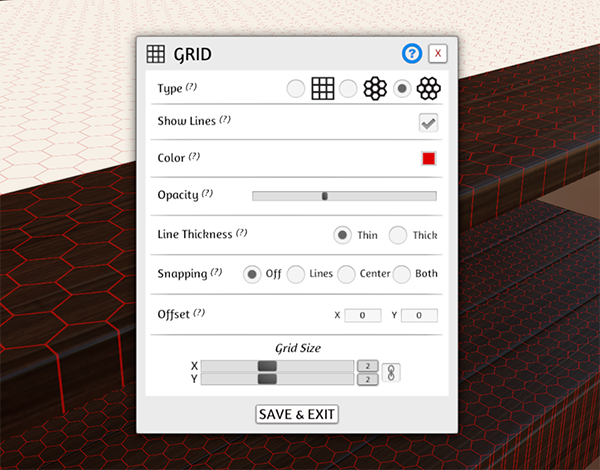 You can choose between 3 different grids, Box , Hex Horizontal and Hex Vertical. 2. Check the box if you want the lines to show. You can leave it on while you set things up and then disable it for actual gameplay if you prefer. If you want the grid to project on actual objects, then you need to right click to bring up the contextual menu, go to toggles and then make sure the Grid Projection toggle is checked. 3. Color: You can change the color of the grid lines by clicking on the color icon to bring up the color picker. 4. Opacity: You can change the opacity of the grid if you don’t want it to be so pronounced and be a bit more hidden in the background while still being shown. Just move the slider to your liking. 5. Line Thickness: You can toggle between a thin or thick grid line. 6. Snapping: When objects are dropped, they will snap to the closest position on the grid. If you leave the lines on, you can see how it is done. You can choose how you want the snapping to happen – either off completely, snapping to the lines, the center or both. To make things more complex and detailed, you can also add in Snap Points and Rotation Snap Points to enhance your games. (Article on Snap Points will come soon). 7. Grid Size: You can customize the size of the grid, by adjusting the X & Y settings. By default you can scale both at the same time, but if you need a disproportionate shape, you can click the chain icon button to control each axis independently. 8. 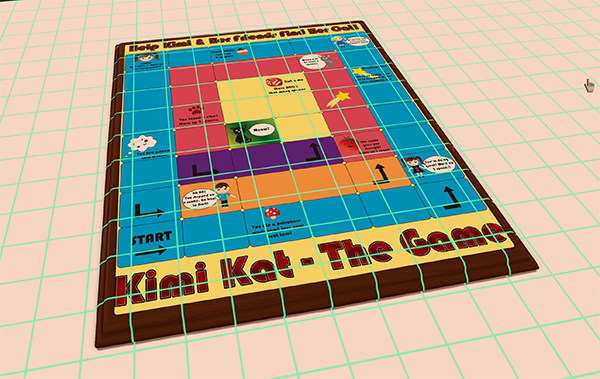 Offset: For some games, you need the grid to be adjusted to fit properly. With this option, you can offset the position of the grid. You can use both positive and negative numbers to reach the position you want. X Axis moves east or west. Y Axis moves up or down. Make sure to save your games (Games -> Save & Load -> Create) if you want to keep your grid settings. If you exit the game, the grid by default will reset.